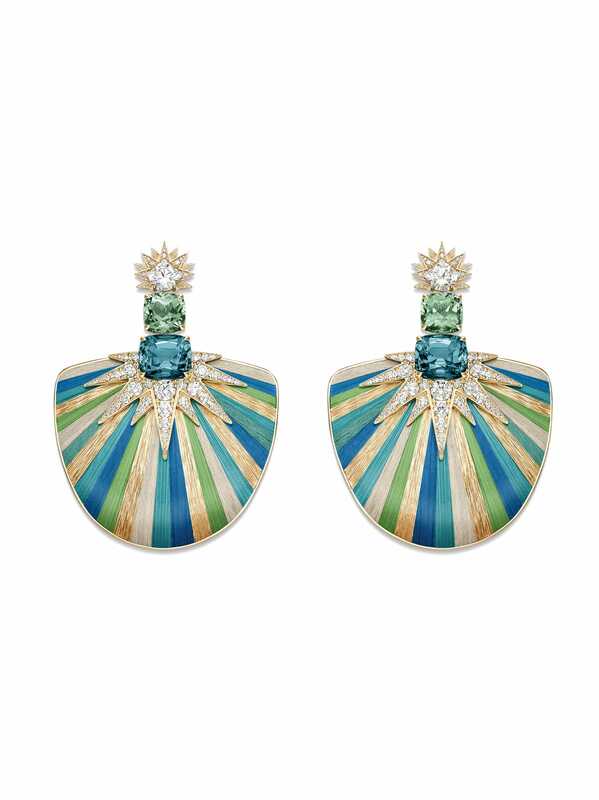 Last July, Piaget unveiled its Sunlight Escape collection in Paris — an exquisite set of haute joaillerie inspired by the purest and most abstract form of light. Created with a delicacy that steals your breath away, Sunlight Escape reflected fiery sunsets and the fleeting beauty of light falling on melting snow. This year, the maison returns once more to its Sunlight Escape for a second chapter. Inspired, as always, by the unabashedly audacious beauty of nature, Piaget’s Sunlight Escape Collection Part II revels in motifs of snowy landscapes and glistening sunbeams on a winter’s sky. With a blend of bold designs and exceptional gemstones for a result that is out-of-the-box yet recognisably Piaget, here’s a closer glimpse at Part II of the enchanting collection. 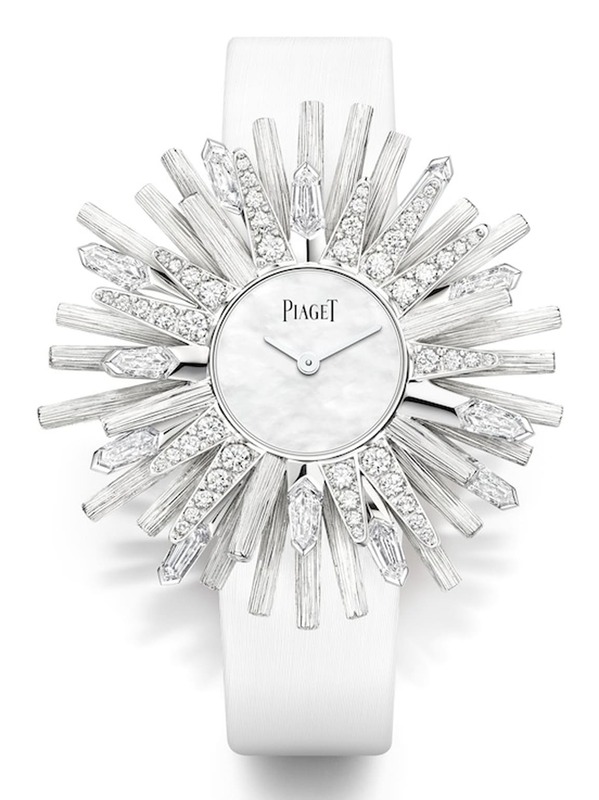 Piaget upholds a long-lasting custom of creating exceptional high-jewellery watches — a tradition that continues with the White Sun watch. 12 white kite-cut diamonds and 81 brilliant-cut diamonds alternate with ‘Palace Décor’ sticks, hand-engraved out of white gold. They protrude from a mother-of-pearl dial, a homage to the Winter sun as its stunning rays illuminate the icy plains. A fitting tribute, as the maison continues to celebrate the sun as a source of life, perpetual shine and celebration. Engraving of the ‘Palace Décor’. 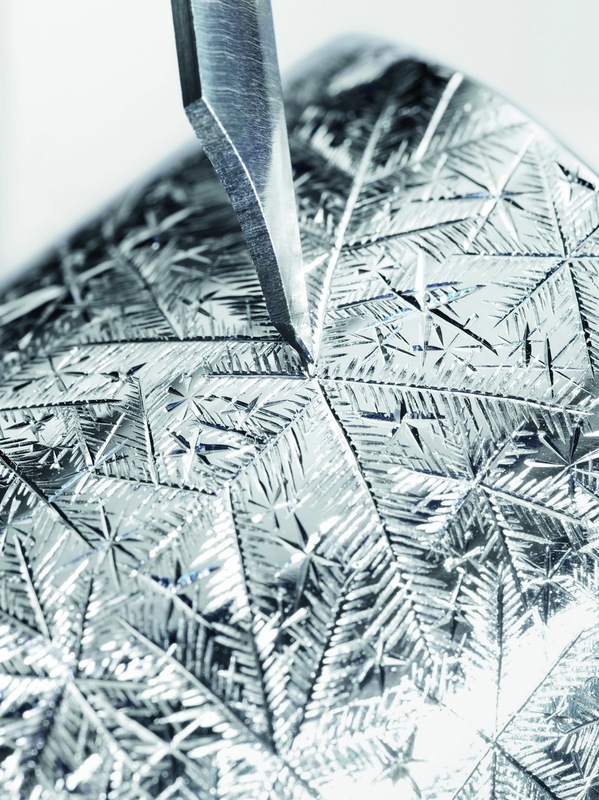 Creating the Frosted Star Manchette. Piaget’s one-off Frosted Star high jewellery cuff takes inspiration from the symmetrical forms of snowflakes, as well as their infinite possibilities. A beautiful 5.12 carat cushion cut Madagascan blue sapphire rests in the center of the cuff, flanked by eight exceptional square-cut black opals. 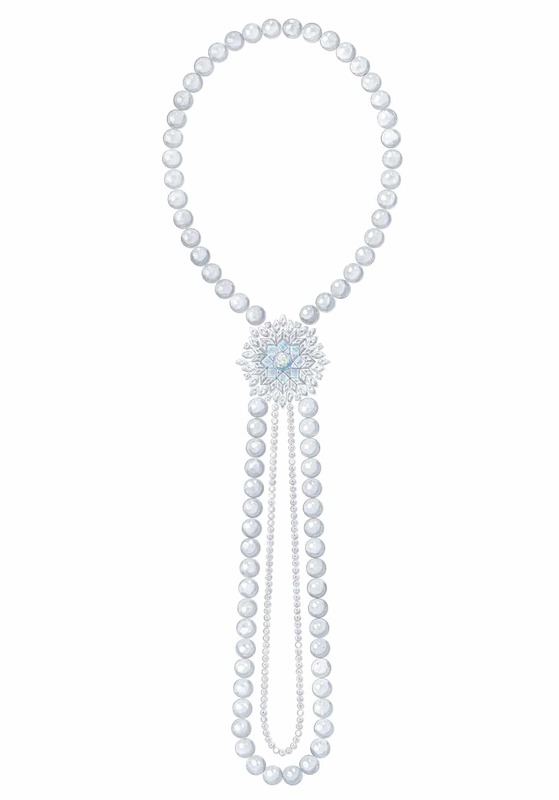 Diamonds coming in four different cuts branching out from the gemstone showcases Piaget’s signature ‘Palace Décor’, represented through a new ‘frost’ version. Piaget’s Night Illusion pays a referential nod to the Aurora Borealis — perhaps one of nature’s most magnificent spectacles. 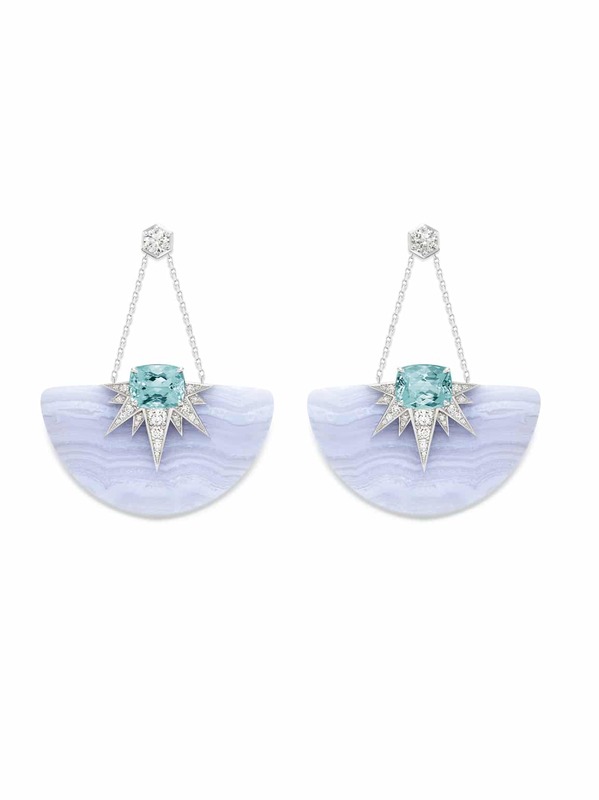 Coming in a full set with necklace, earrings, ear-cuff and a ring, the designs are directly inspired from the Nordic phenomenon, illustrating the mesmerising dance of northern lights across cool night sky. 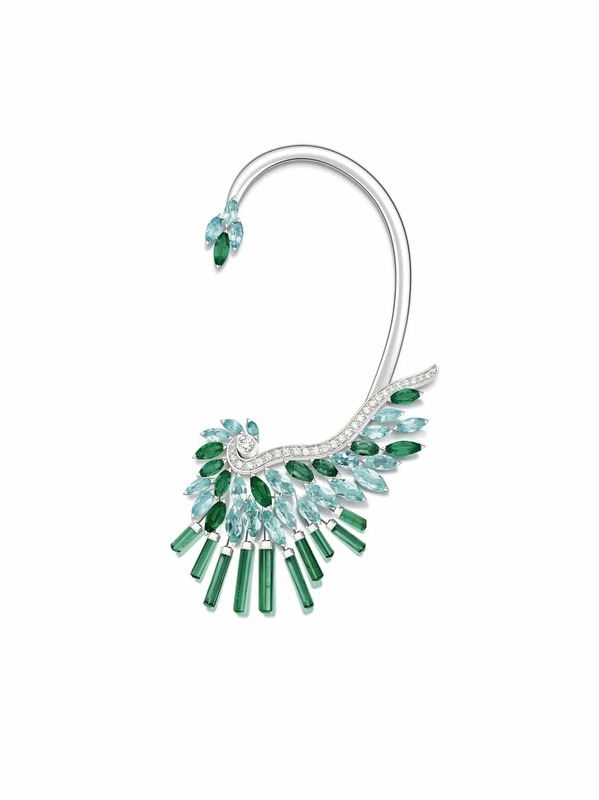 Made up of the finest emeralds, Paraiba tourmalines and diamonds in a richly intense palette, the gems echo vivid greens and blues from the enchanting ripples of light. 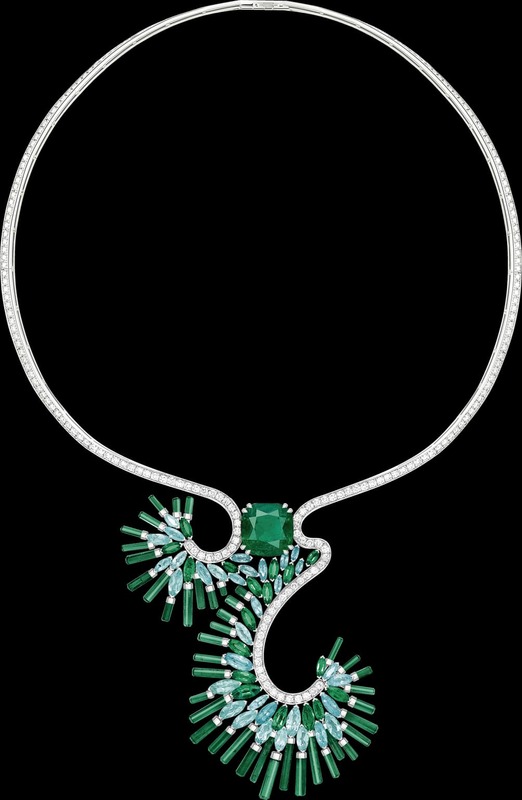 The necklace, asymmetric in form, expresses the playful innovation of the maison, with a 10.76 carat Colombian emerald resting at the heart. 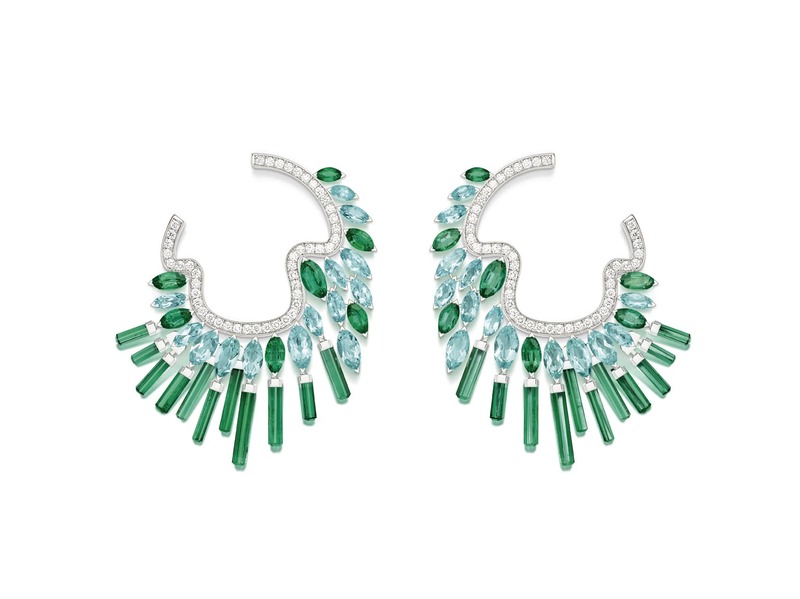 The earrings and singular ear-cuff echo a sense of undulating design, while a ring — showcasing a 5.95 cushion-cut Colombian emerald — completes the Night Illusion. 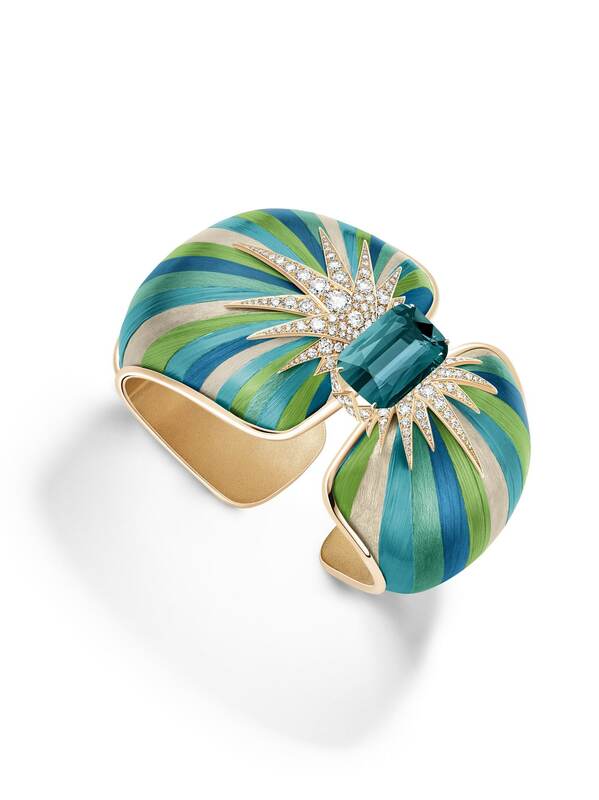 Piaget also presents Green Aurora — a cuff that continues the maison’s creative partnership with marquetry artist Rose Saneuil. Featuring a delicate palette, the piece reflects the nuances of the Aurora Borealis, through minute slivers of straw, Sycamore and Common Hornbeam. It takes incredible technical prowess to curve the marquetry around the contours of the cuff, marking a first for the high jewellery brand. 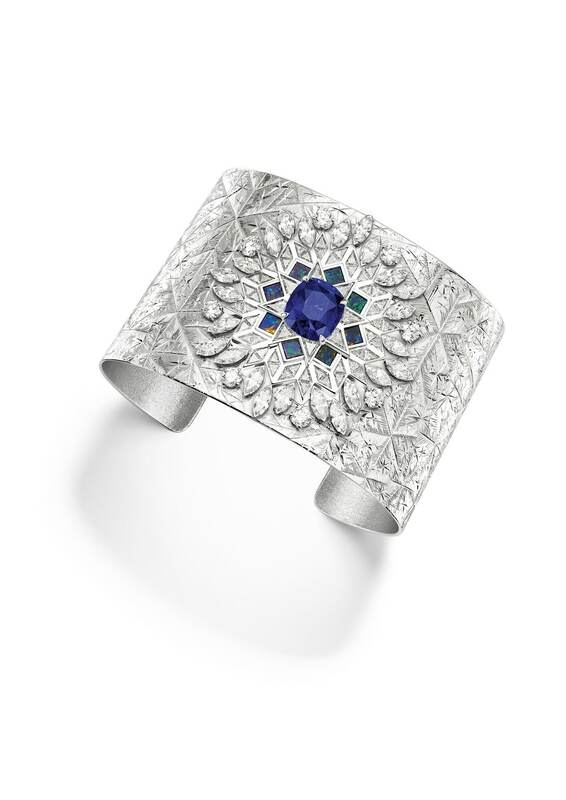 An indigo tourmaline rests in the center of the design, with over 14 carats of the beautiful and rare Namibia crystal. 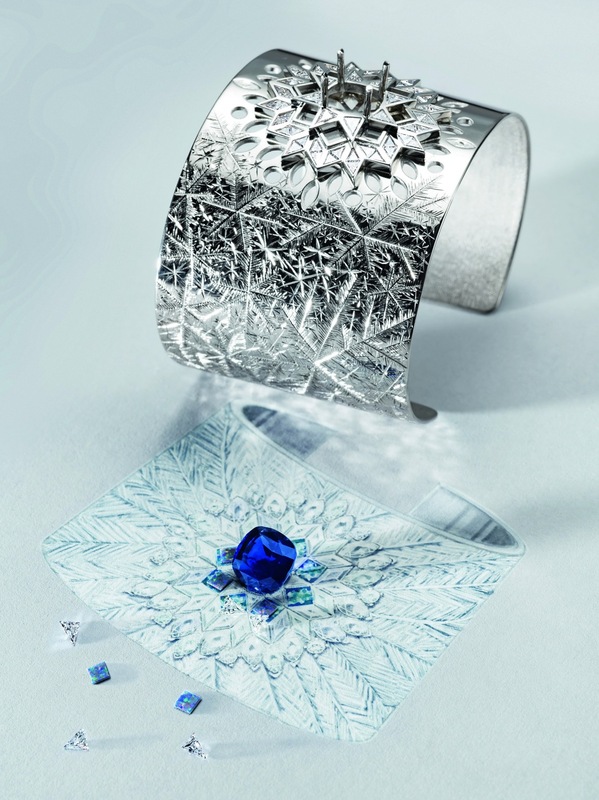 The cuff itself is complemented by a pair of marquetry earrings, with diamonds found in what appears to be ice-like shards’. 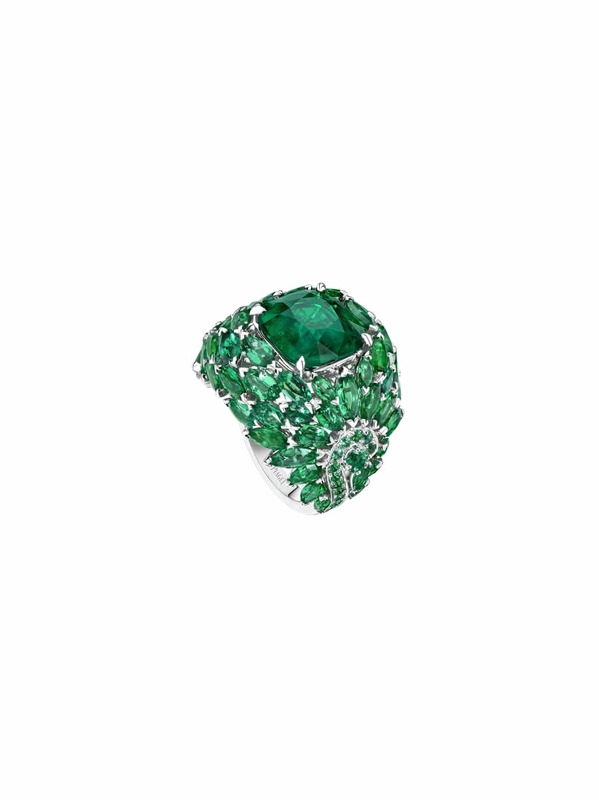 Discover Piaget Luxury Watch and High Jewellery first-hand at the Piaget Boutique by S.T. Dimension on M Floor, Siam Paragon. To find out more, call 0 2160 9678. piaget.com.